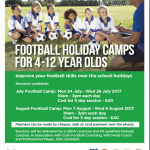 So, for all the football crazies out there, missing their beloved training, why not sign them up to the Merris Wood Holiday Camp for 4-12 year olds. They have even reduced their cost this year to £40 for 3 full days. 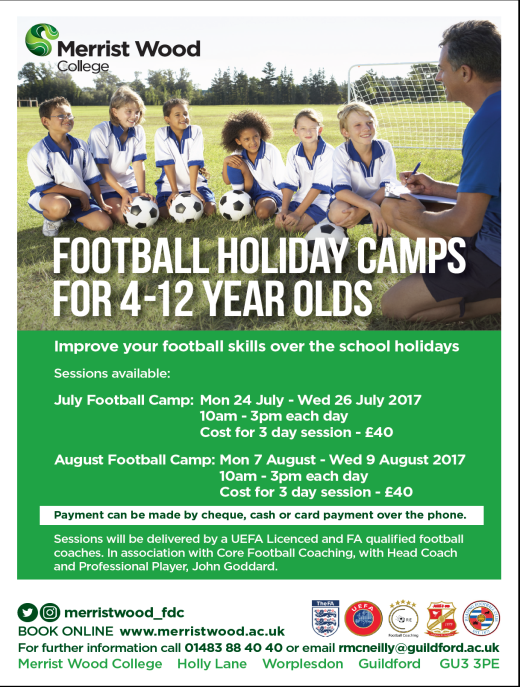 They will be run but fully qualified UEFA and FA coaches. So they could even learn something new. 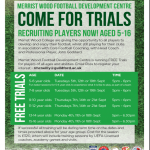 They are also running their own football Development Centre for youth players aged 5-16. This will only supplement what they already do and will look to work closely with the grassroots clubs who’s players are involved, i.e put on some sessions delivered by a UEFA License coach, mentor clubs and deliver Workshops. 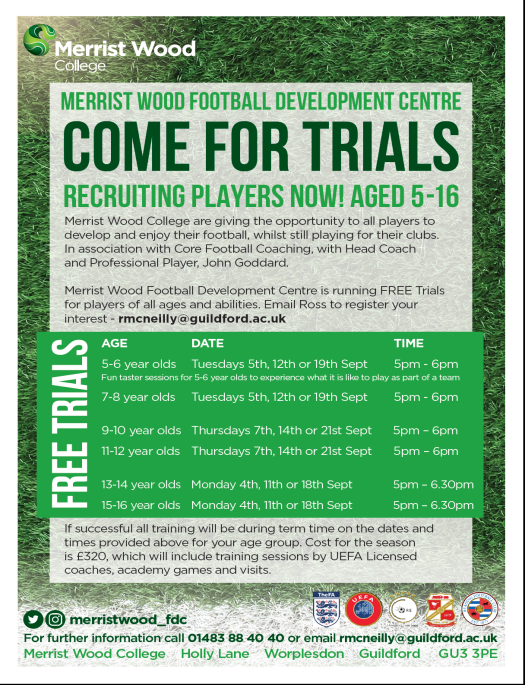 The flyers are attached below, so click on the images to get times and dates etc. Joe and Leon Get Picked For Chelsea! !